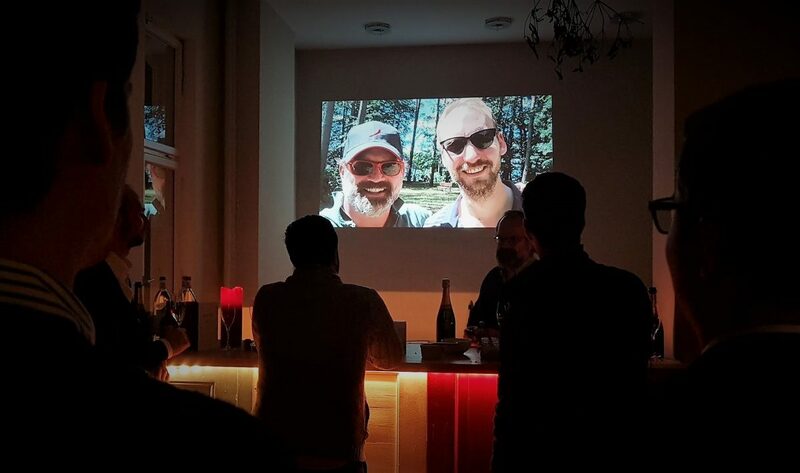 Last week, our entire team, including former team members who were with us in 2017, got together for the annual WagArb Christmas party. 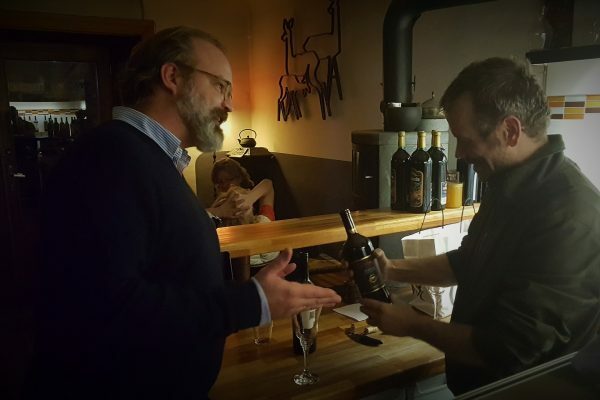 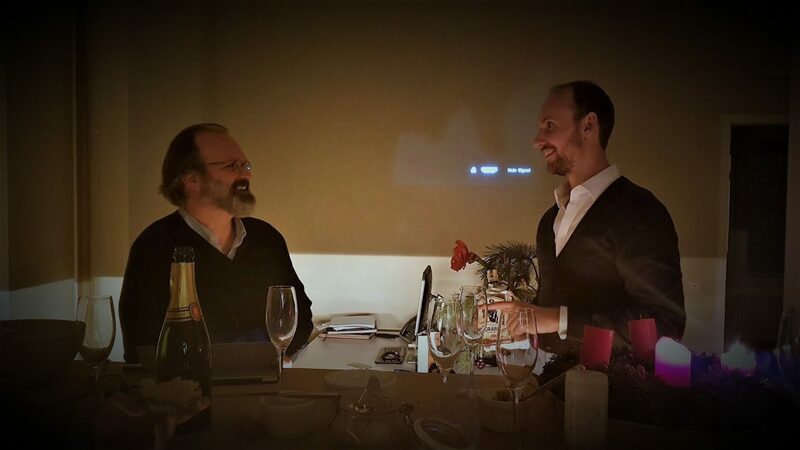 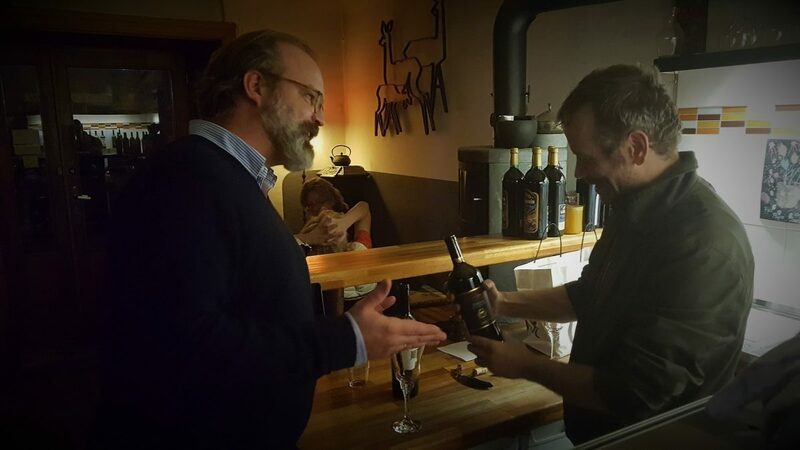 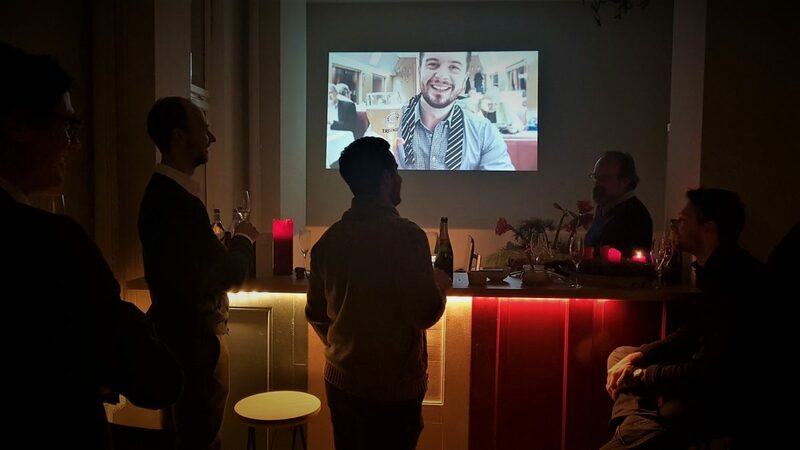 The evening started off with a toast and a few drinks at the office, during which Philipp and Joseph both delivered what I perceived as heartfelt and witty speeches recapitulating 2017 while extending words of appreciation to everyone present. 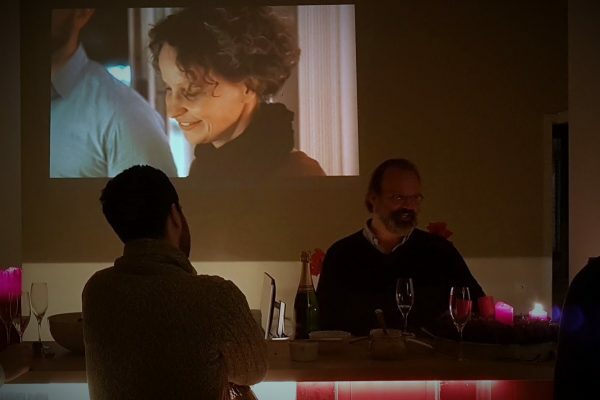 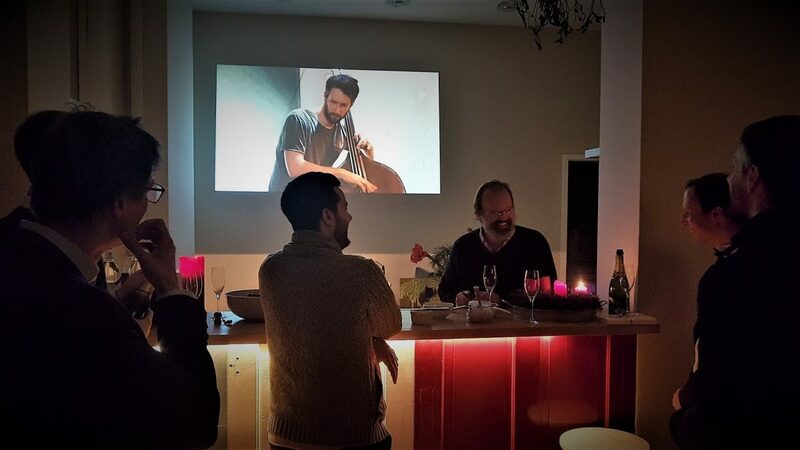 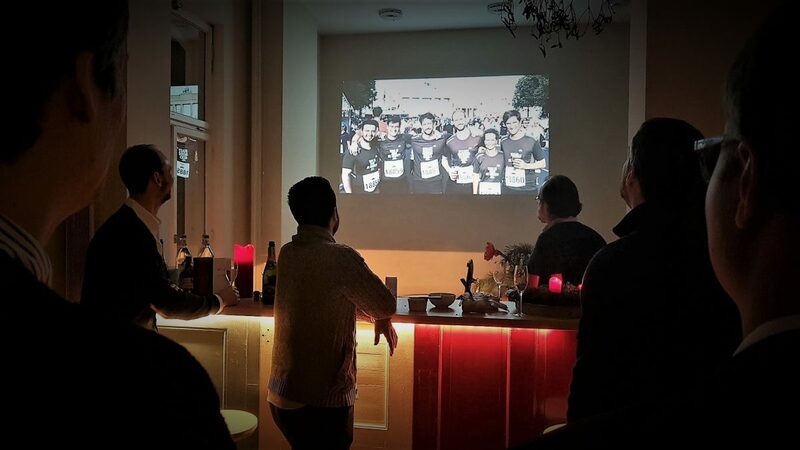 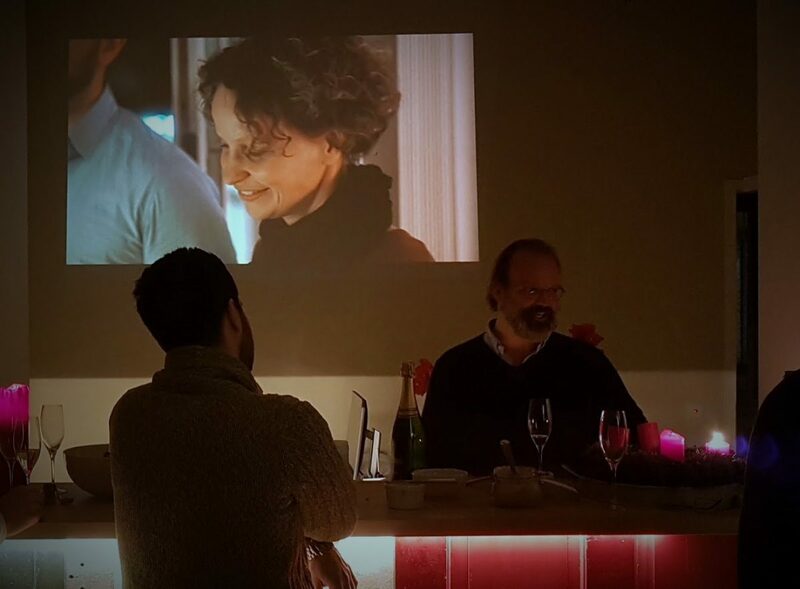 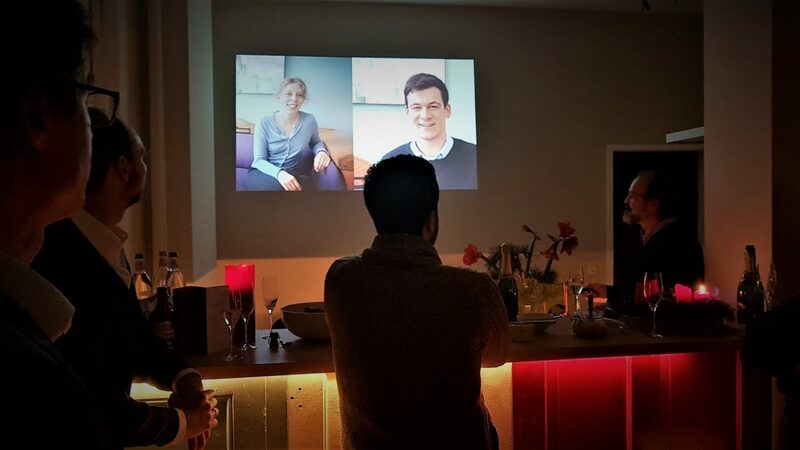 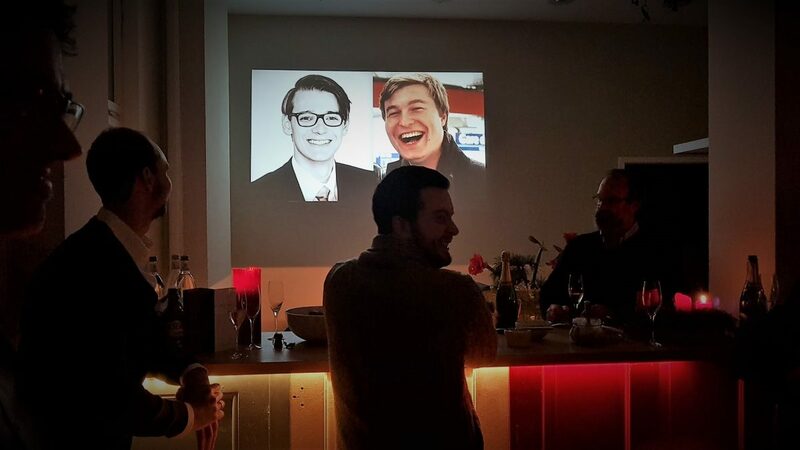 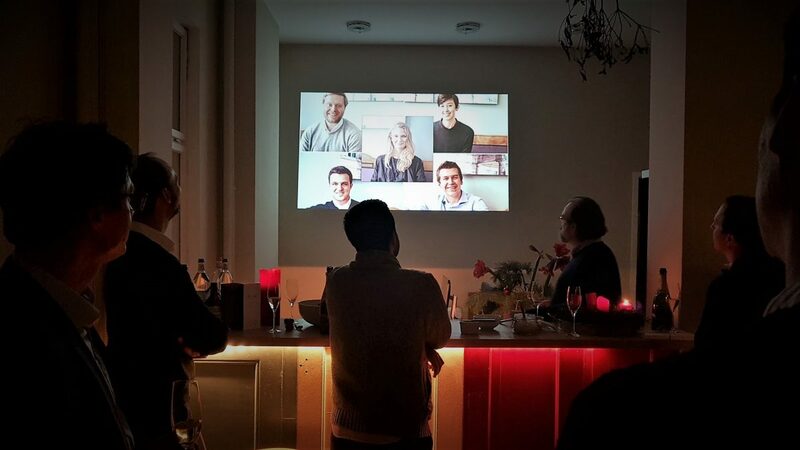 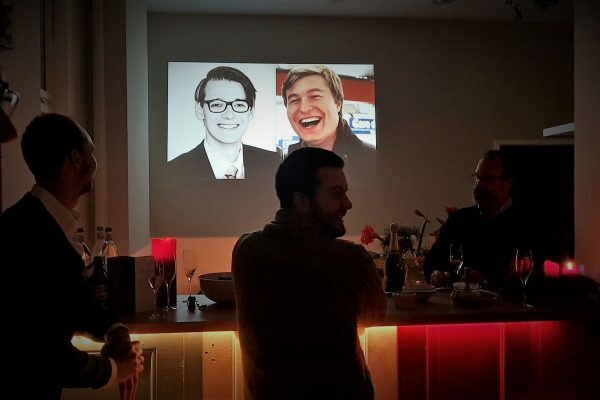 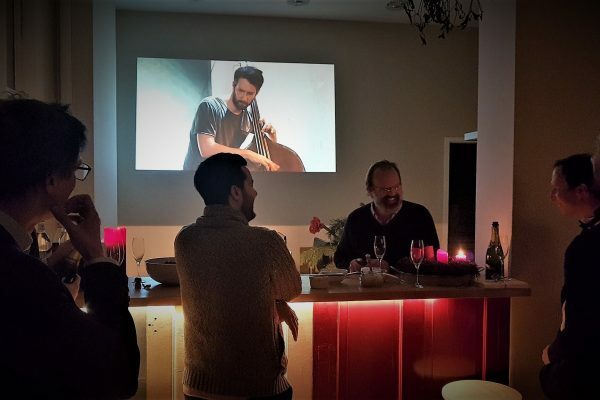 Other – current and former – team members, who unfortunately could not be with us that day because they were not in Berlin, nonetheless became a pleasant part of the evening via video messages they had recorded of themselves in different parts of the world and had previously sent to Philipp. 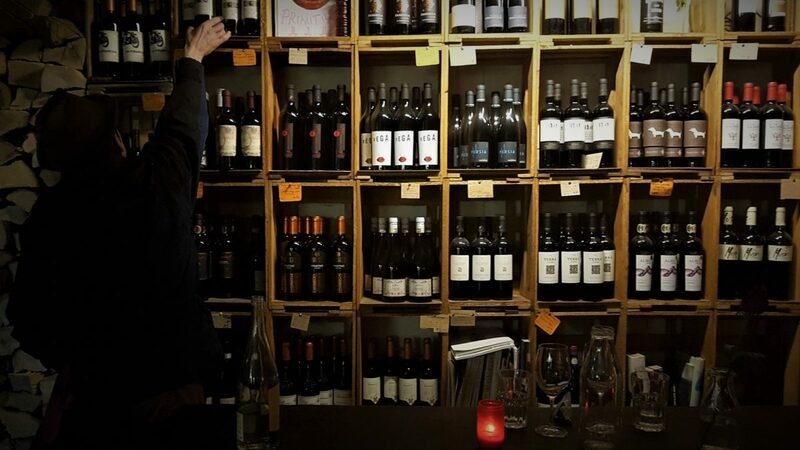 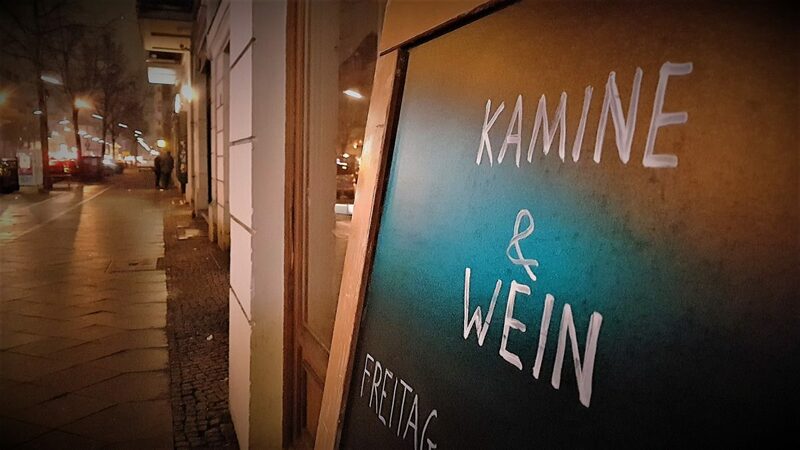 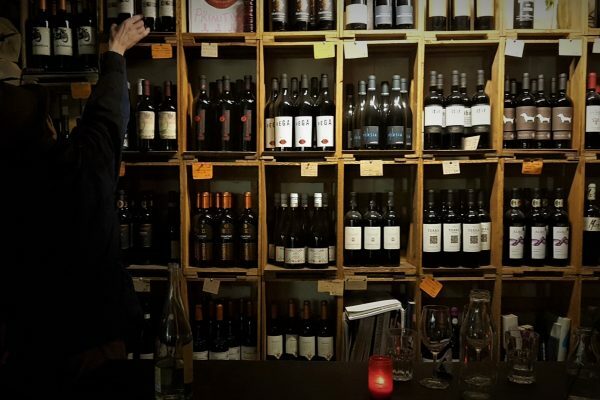 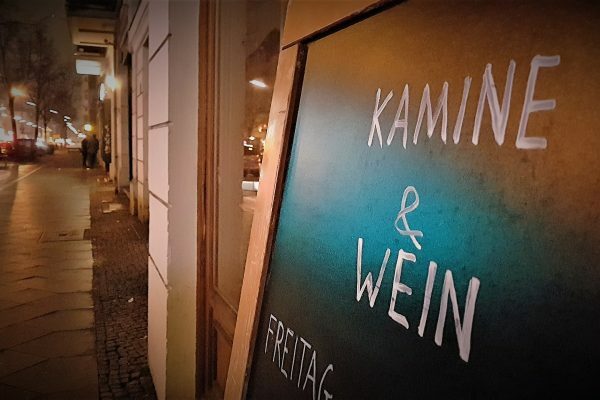 We then went on to “Kamine und Wein” (“Fireplaces and Wine”) in Berlin-Wedding. 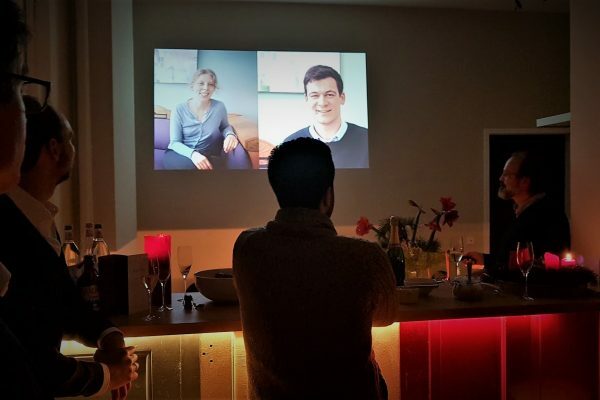 And what a well-fitting location this was! 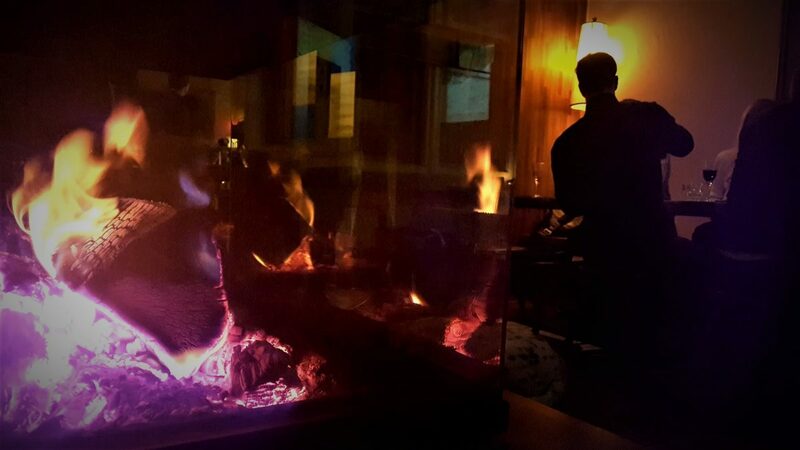 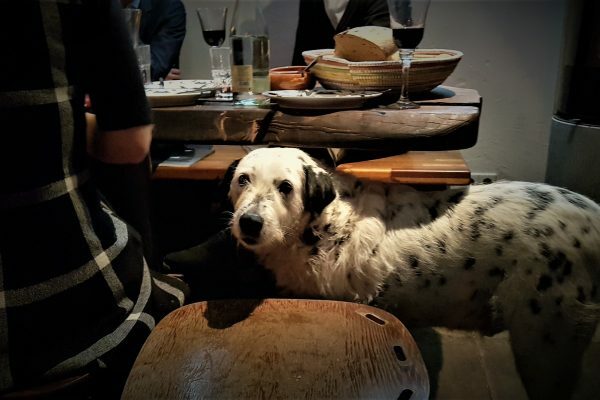 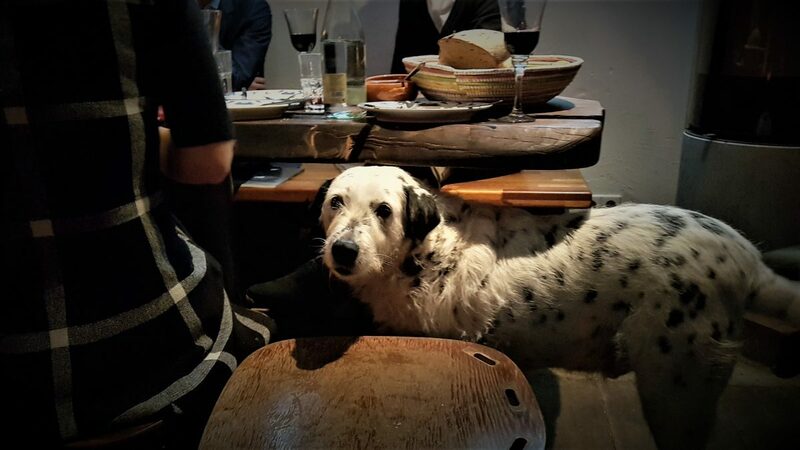 It provided for a cozy fireside vibe through its raw wooden tables and benches, the warm fireplaces all around and an endearing dog called Hermann from Hermannstadt. 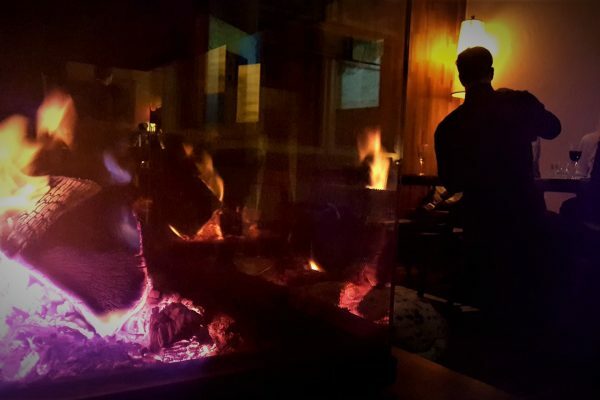 The welcoming host of the location rounded off the entire experience, creating what to me seemed like a perfectly comfortable and effortless ambience to just let go while re-considering the many rewarding moments of 2017. 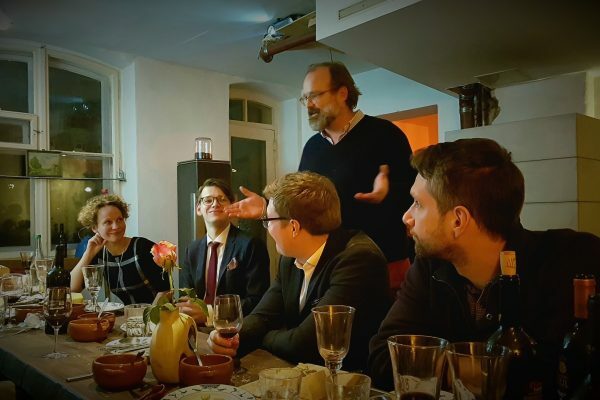 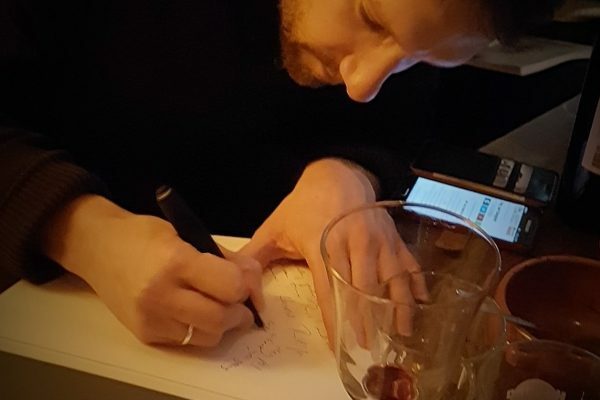 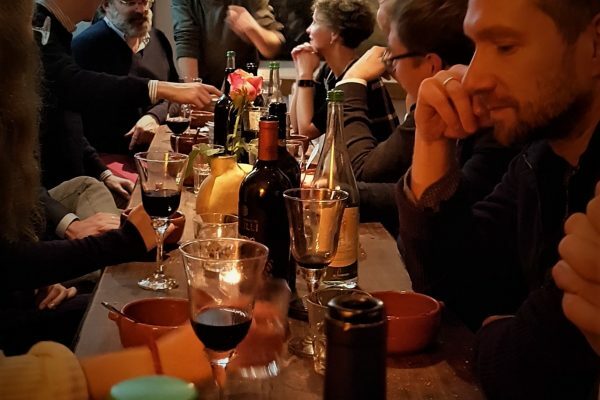 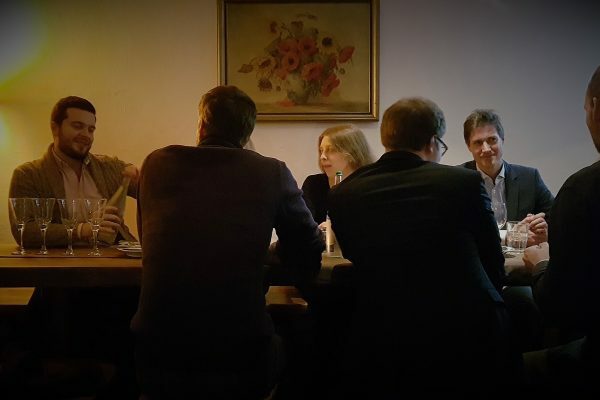 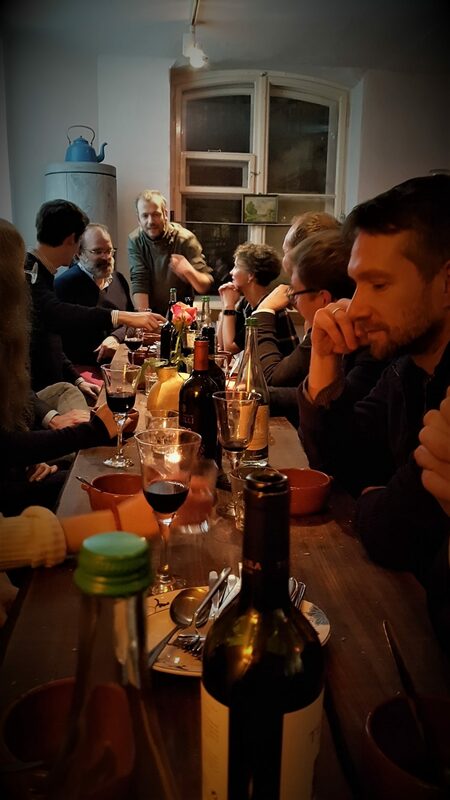 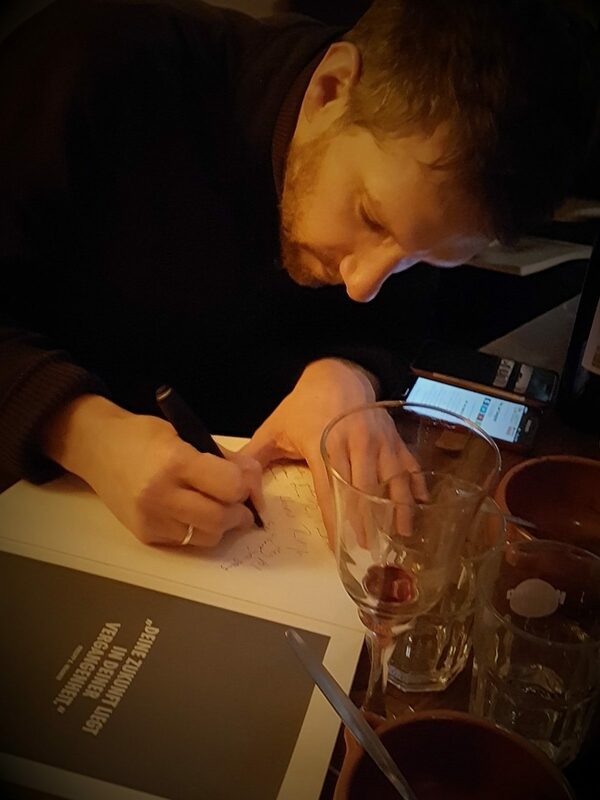 I felt it was particularly nice to also have John Faulk from Fireside Coaching with us as special guest – our rhetoric coach and constant Wegbegleiter, who once again through his photos made available here, managed to perfectly capture the evening’s vibe. 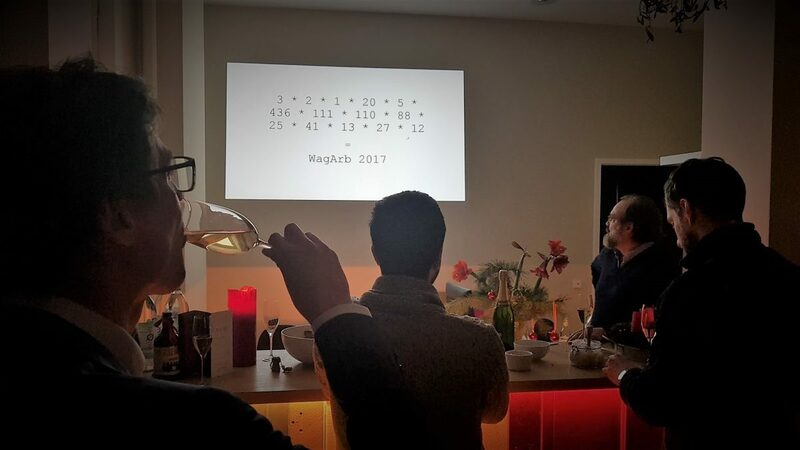 Later that night, Philipp presented a new surprise WagArb feature he had come up with as a result of his North America tour this summer, as all of us received a WagArb Yearbook in the form of a compilation of the various social media posts in 2017. 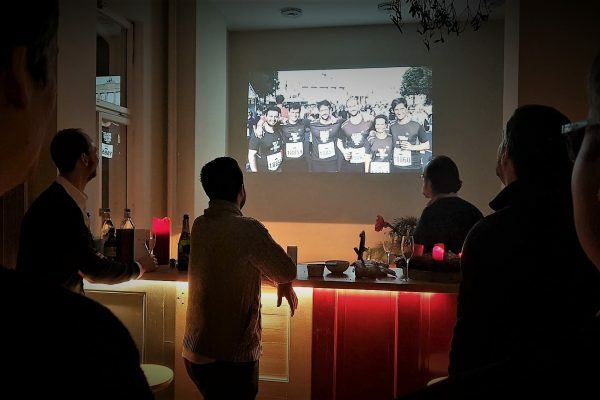 Our heightened social media activity was in fact one of the main novelties in 2017 and turned out to be a very rewarding side project under the roof of the overarching WagArb project. 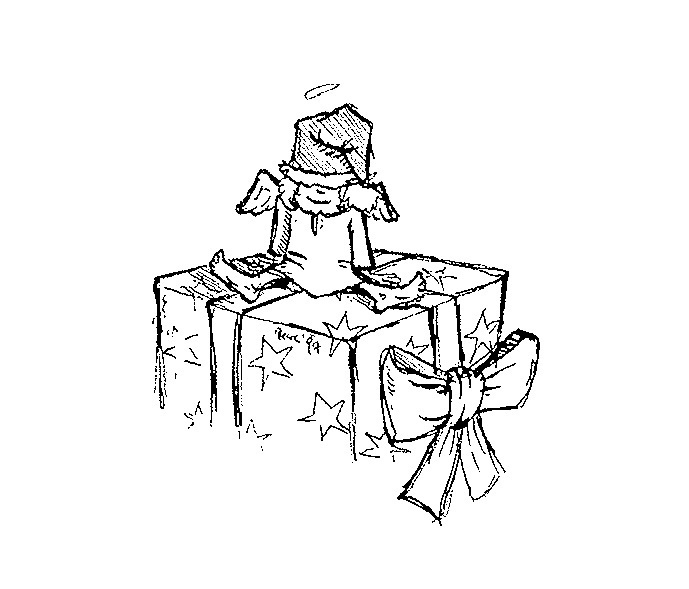 It did not take long before all the Yearbooks were being reached around the table to be filled with personal notes and greetings. 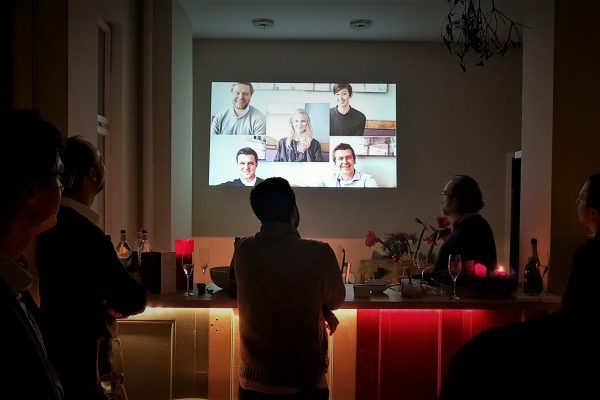 Our team has grown in 2017 and I have had the opportunity to assist in a number of notable new projects for which the firm has been retained. 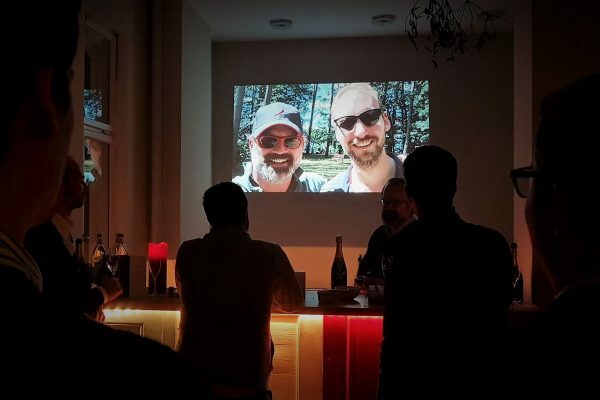 Further, Philipp’s three-months North America tour, even though his absence was felt in every corner of the firm, has nonetheless had its upside in welding everyone closer together and strengthening the WagArb team spirit. 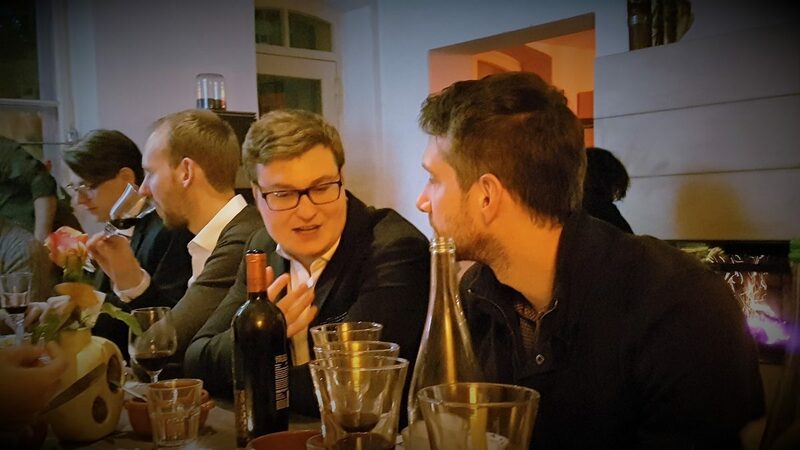 2017 was a special year on a personal level for me as well, not only because I passed my bar exam and was formally admitted as a lawyer, but also because I began my Ph.D. studies at Berlin Humboldt University and more generally felt like I took a further step in the professional growth ladder. 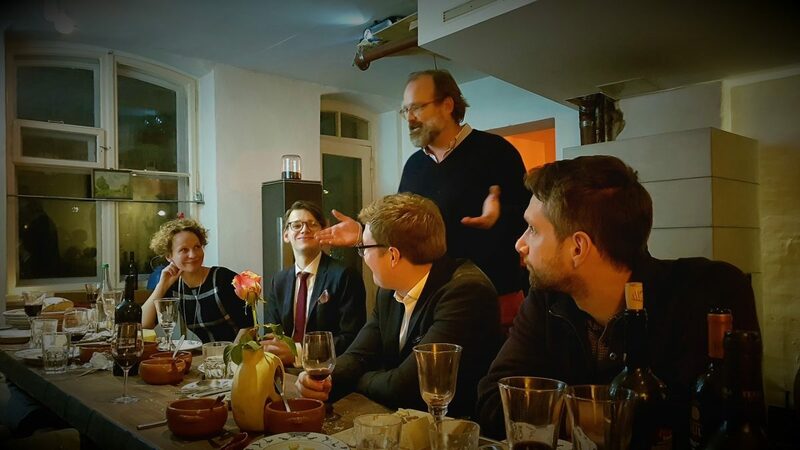 I have had the privilege to do so at the remarkable law firm that is called WAGNER Arbitration – where professionalism, competence and efficient legal counsel goes hand in hand with a warm corporate culture of mutual respect and esteem, of sincere appreciation for everyone’s contribution and a sense of thinking beyond the boundaries of the traditional conception of a law firm. 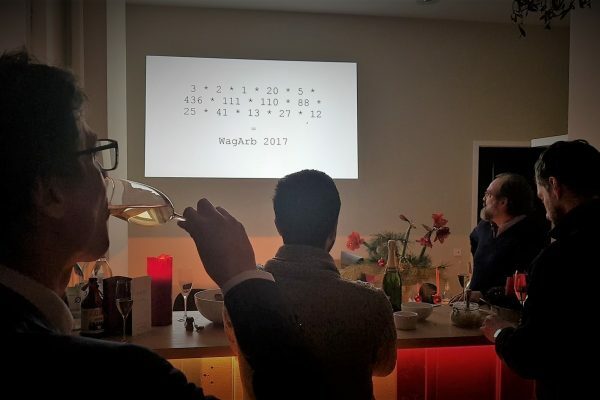 Because of all of this, I look back with a lot of gratitude to 2017 and onwards to the continuation of our project path in the next year – as it so happens, WagArb’s 5th anniversary. 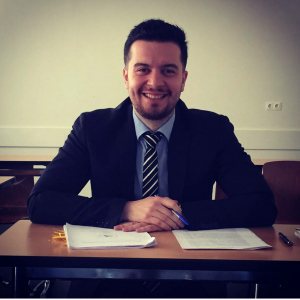 Petrit Elshani hat seine juristische Ausbildung an der Universität Prishtina und der Freien Universität Berlin absolviert. 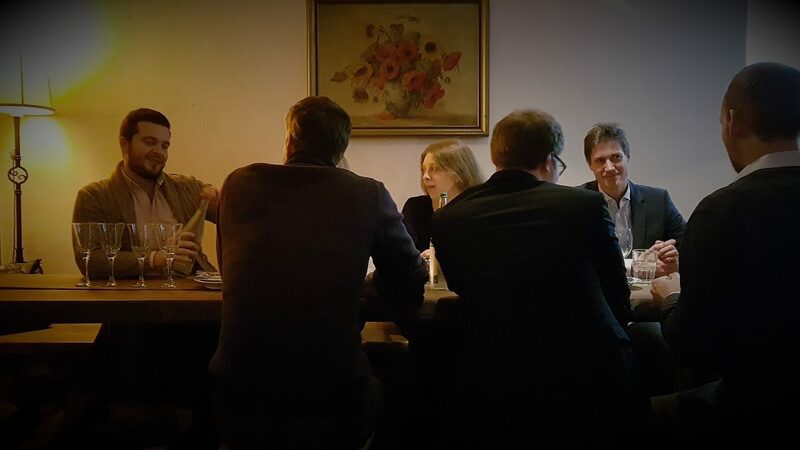 Sein LL.M.-Studium im Bereich der internationalen Streitbeilegung schloss er an der Humboldt-Universität zu Berlin ab. 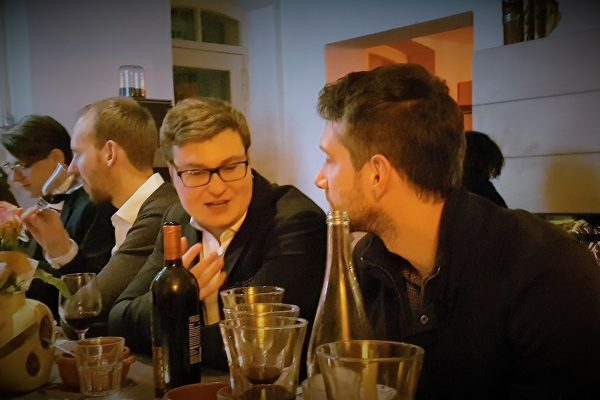 Bei WAGNER Arbitration ist Herr Elshani seit Anfang 2016 tätig und unterstützt hauptsächlich die Schiedspraxis der Kanzlei.